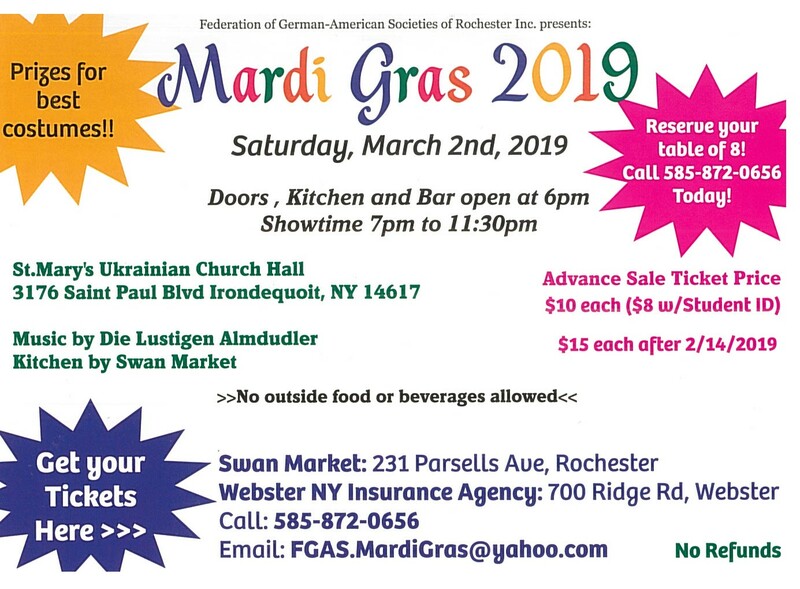 Federation of German American Societies | Mardi Gras 2019! 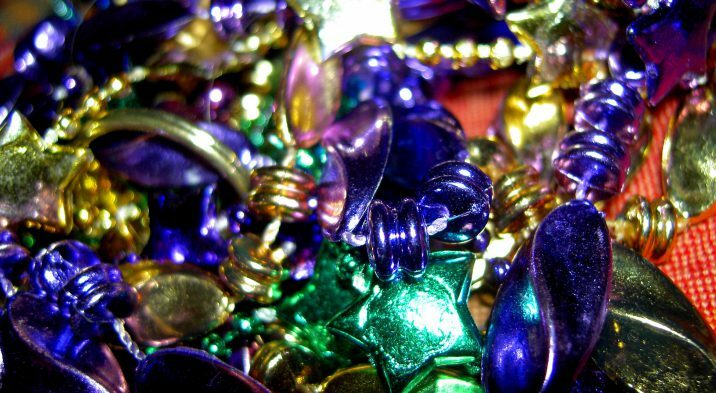 Come join us March 2 as we celebrate Fasching/Fastnacht/Karneval (Mardi Gras) with a night of costumes, food, drinks and tom foolery! No matter what you call it, you’re bound to have fun! The party happens at St. Mary’s Ukrainian Church Hall, 3176 St. Paul Blvd., 14617. Single tickets are available for purchase or get a table for you and all your rowdy friends. See the attached flyer for more details and ticket purchase options.